A portion of ALL donations go to Children'sMiracle Network. To donate directly, click the link above. I am in the process of adding Authentication information to all of the programs on this site... Not all of them currently have it added. 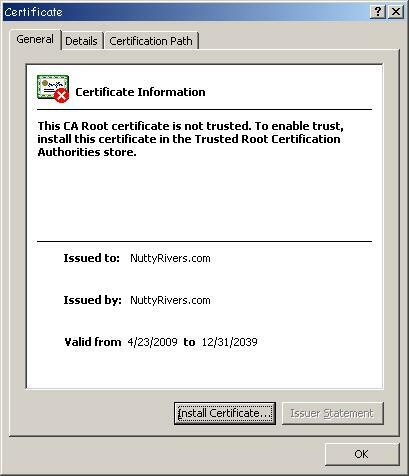 The certificate that I am using is not issued by any of the ROOT authorities that are currently installed on your pc. It is a "Self-Signed' certificate and needs to be installed on your system before you can "validate" any of the programs downloaded from this site. To install the certificate, follow the instructions below. Click OK on the Import was successful box. and have the image by the download link. Disney Online & Toontown are copyrights/trademarks of Disney (DIG). I am NOT associated with Disney or Toontown.